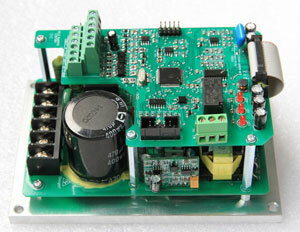 The rapid development of power electronic devices and micro-computer chips provides a good foundation for frequency inverter updating, to make the inverter drives more extensive use, more compact, more powerful and the prices are more acceptable by various users. In accordance with such requirements in inverter drive markets, Gozuk launched a series of independent developed frequency inverters with high reliability, multi-function for electric motor drives. 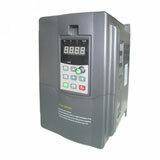 They are integrated lots of advanced control technologies, like main/auxiliary frequency reference, motor noise regulation, wobble frequency, simple PLC operation, process PID control, built-in ModBus communication, support master-slave communication between inverter drives and other features. 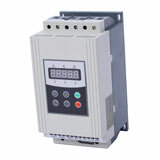 Gozuk frequency inverter's high stability and reliability makes it suitable for most small power motor control applications, with flexible installation and easy operation. 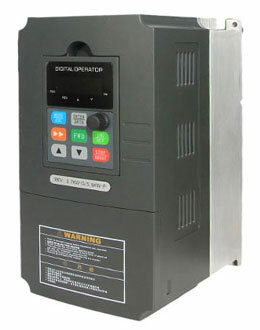 Gozuk frequency inverter drives are widely used in printing, packaging, woodworking machinery, constant water pressure supply system, tooling machinery, food processing machinery, metal fabrication machinery, automation conveyors applications. With China local markets feedback of Gozuk inverter drives, generally its generous appearance, high reliability, good performance, and the quality data also shows Gozuk inverter drives reliability has reached advanced control level in the industry. a) Pay attention to product requirements gathering in pre-development, design products according to market demand to service customers better. b) Establish clear development process stages and evaluation points, strengthen process management and evaluation points control to improve product quality. c) Strengthen PCB board testing, software testing, and whole system testing. 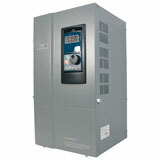 d) Adopt CBB (Common Building Blocks) to improve inverter development efficiency. Gozuk frequency inverter drives fully considering user's requirements, combined with the user's habits, commonly used parameters in priority, optimize factory default parameters, reduce parameters configuration work and operator requirements. Provide three kinds of easy installation: screw installation, screw-mount installation, rail mounting. Support "side by side installation without derating mounted" to save space and cost. Detachable keyboard for cabinet installation; the frequency inverter built-in brake unit, only needs an external braking resistor to lower cost. Rich control terminals configuration: 6 channel digital inputs, 2 channel digital outputs (Y1 and a relay), 2 channel analog inputs, 1 analog output, standard RS485 communication terminals, supports Modbus protocol. 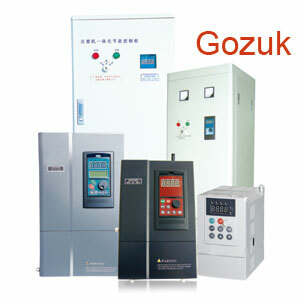 Easy routine maintenance, Gozuk frequency inverter drives use standard cooling fans, replace fan without tools. The inverter drives control fan start/stop according to the inverter heatsink temperature to extending the cooling fan life effectively.